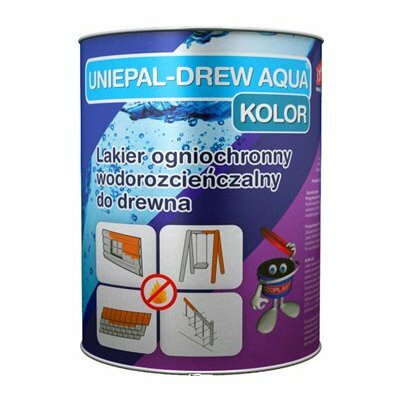 Water-proof wood-repellent varnish for wood Uniepal Drew Aqua color is designed for fire-proofing and decorative finishing of wooden surfaces made of domestic wood species, OSB boards, plywood and wood-based materials used inside living and public spaces as well as outside buildings. 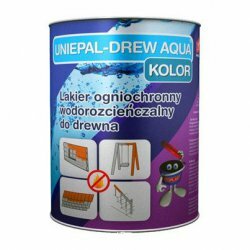 At 23ºC (± 2) and 50% relative humidity (± 5) the second coat can be applied after 16 hours, the third after the previous layers have dried completely. Uniepal Drew Aqua varnish does not apply to exotic wood species.